Created by Doreen Virtue, these beautiful cards will allow you to recieve messages and answer some of life's important questions. Each deck is accompanied by a guidebook which will teach you how to give an accurate card reading for yourself and others. 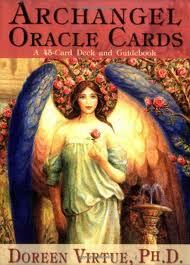 In the book further elaboration is made on each card, including an additional message from the angel, and how to work with him or her. 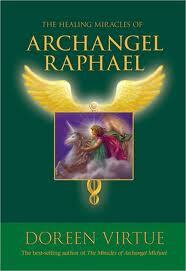 Archangels are very powerful, wise, and loving guides who can motivate and heal you in miraculous ways. This deck of 45 oracle cards by Doreen Virtue will familiarize you with the 15 archangels, give you messages from them, help you to invoke them, and answer some of your important life questions. 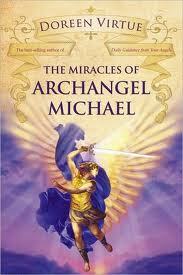 Archangel Michael is a beloved and powerful protector and trustworthy guide. He knows your life’s purpose and the best steps for you to take next. The 44 cards in this deck feature messages for you from Archangel Michael and incredible paintings of this magnificent angel. You’ll also receive answers to your most pressing questions. Now you can give yourself and others accurate, loving, and helpful readings about health and healing. 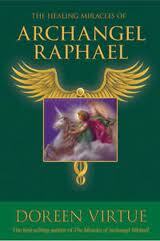 Each oracle card features a gorgeous painting of Archangel Raphael. Whether you’re seeking a healing for yourself, for someone else, or want to awaken your own natural healing abilities, Archangel Raphael brings you miracles and trustworthy guidance . . . and all you need to do is ask! Forty-four divination cards, each with a unique Victorian-Style or Old Master-Style angel picture on one side and a positive, healing message on the other side. 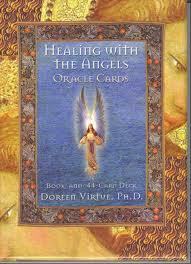 This is the first of Doreen Virtue's card decks, and is still the most popular. The goddesses are angelic, powerful, loving beings who want to help you with every part of your life. 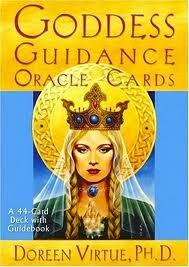 In this set of 44 oracle cards you'll learn who the different cross-cultural goddesses are and how they can help you. Each card gives you a specific message about how you can improve your life, health, relationships, finances, career, and spiritual path. The gorgeous artwork on each card depicts Kuan Yin, Lakshmi, Bridget, Isis, Athena, and other goddesses from Celtic, Mayan, Egyptian, Greek, Tibetan, Buddhist, and other traditions.